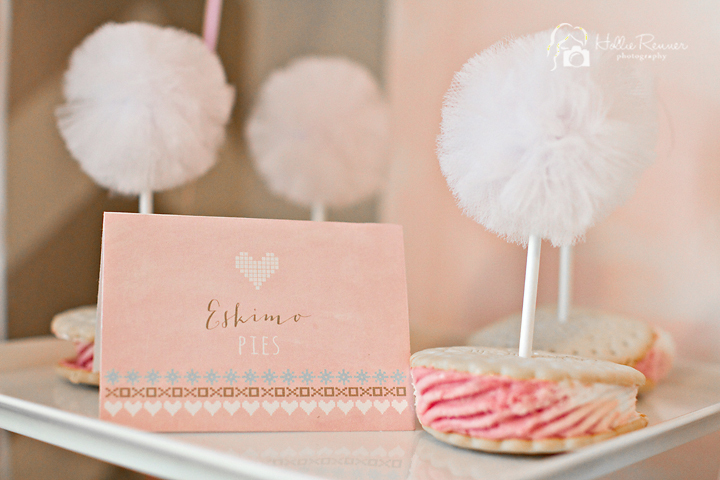 Eskimo Kisses & Valentine’s Wishes !! 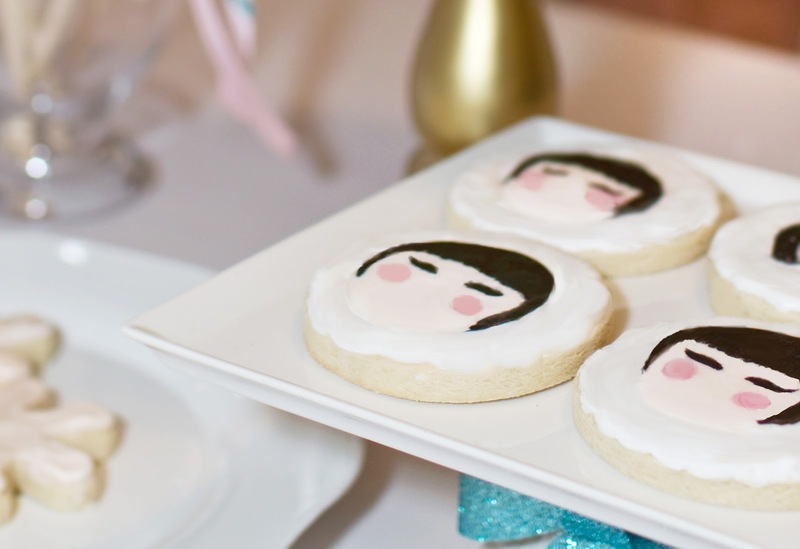 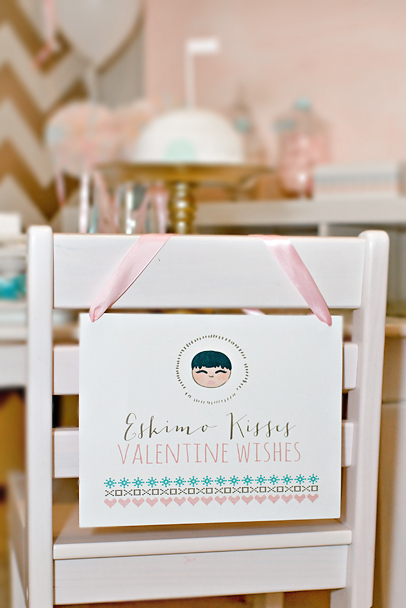 We feel in LOVE with this “Eskimo Kisses & Valentine’s Wishes” party my sweetest party girl Christy from Itsy Belle party printables, created for her lovely daughter and her friends . 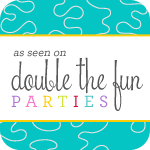 I know you will fall in love as much as I did ..so we’ll let Christy tell you all about her party !! 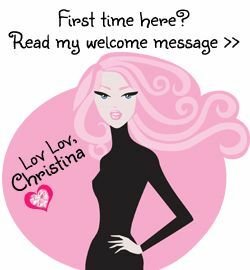 Christy, I am so excited to share our new Eskimo Kisses Collection with you. 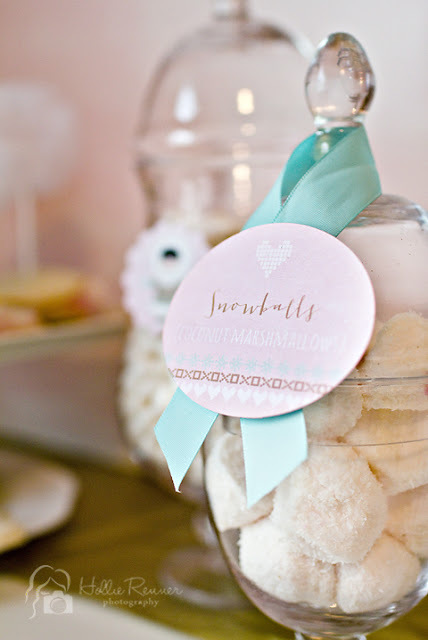 “Eskimo kisses” (Hershey Kisses), “Eskimo Pies” (Ice cream sandwiches) and “snowballs” (coconut covered marshmallows), Eskimo cookies and igloo cake pops were set out for the little invitees to enjoy. 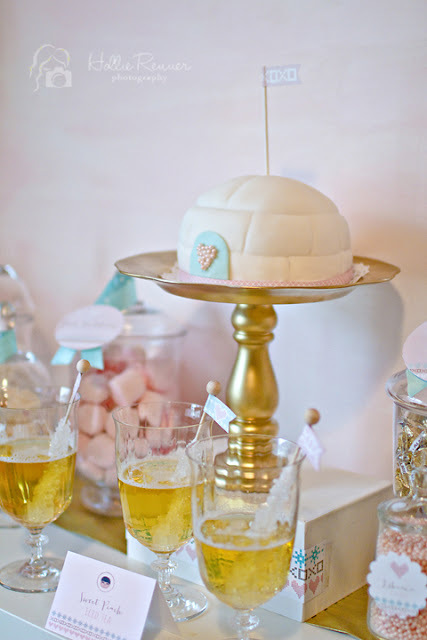 The centerpiece, an igloo cake set on a hand-made cake stand spray-painted metallic gold made the party theme come alive. 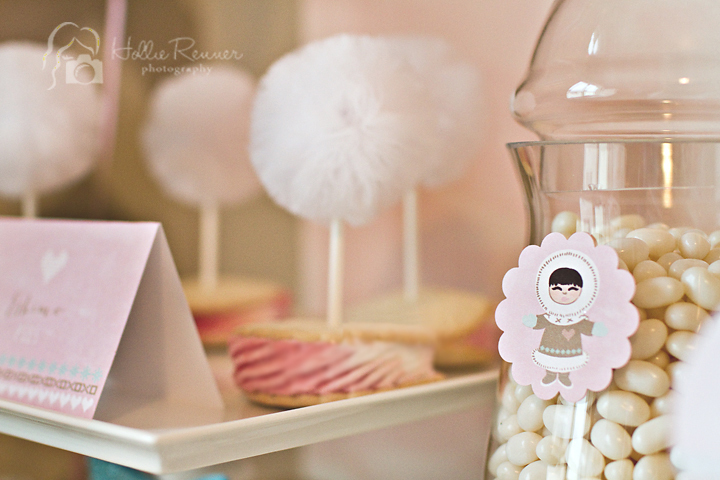 Like soft fluffy Snowballs, tulle Pom toppers adorn some of our guest treats, and pom wands doubled as centerpieces for the dining table. 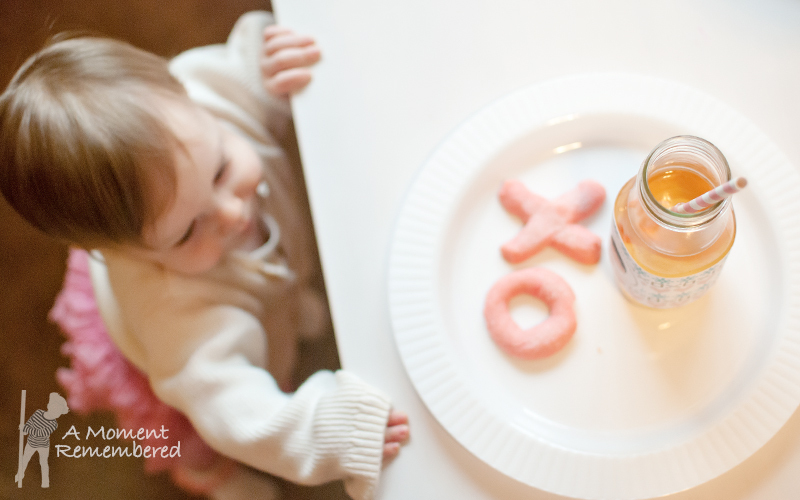 Eskimo Kisses & Valentine Wishes! 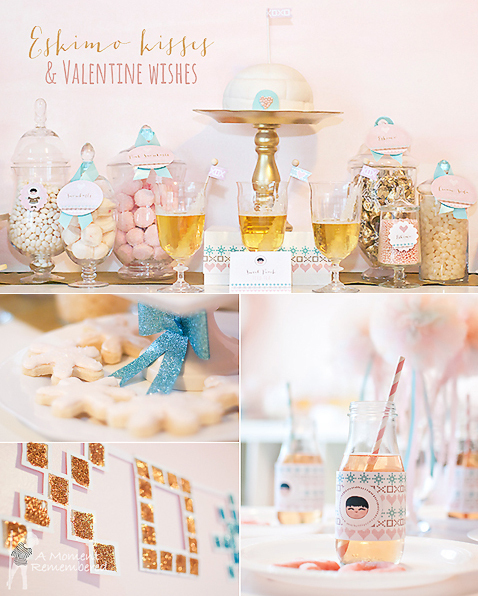 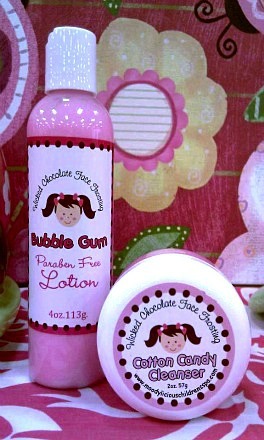 Visit Our Valentine Shop ! 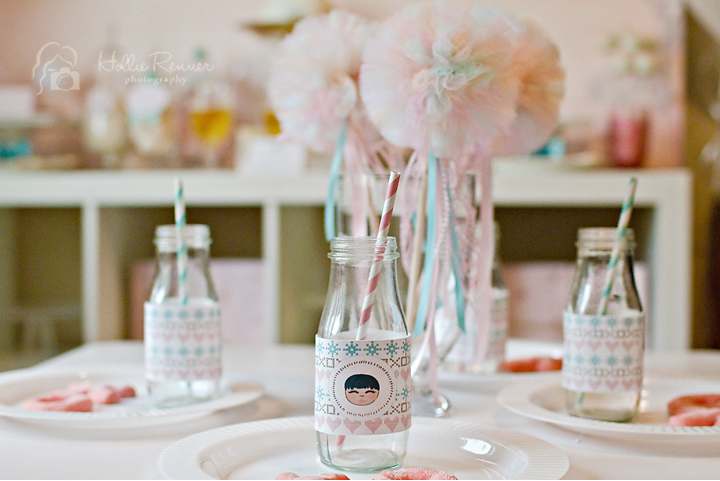 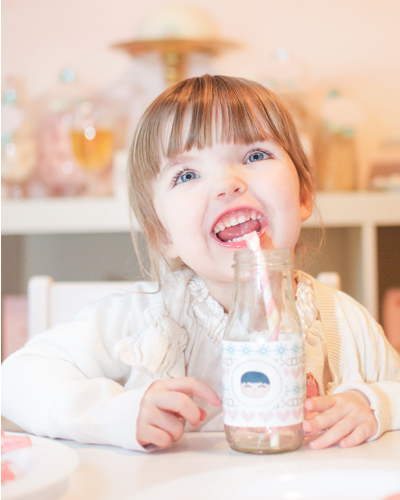 Thank you so much for featuring our Eskimo Kisses party!